Thanks to The Boston Globe’s Todd Wallack, we learned last week that the supervisor of records, charged with enforcing the Massachusetts public records law, has permitted police departments withhold arrest reports and mug shots from the public in their “discretion.” Unsurprisingly, police departments have exercised that “discretion” to shield the identities of police officers arrested for drunken driving while publicizing the arrests of other Massachusetts residents for the same crime. Yesterday, Secretary of State William Galvin took to Jim Braude’s “Greater Boston” show on WGBH-TV (Channel 2) to defend the rulings. He pointed out that he had previously ruled that arrest reports to be public, but said he had to back down because another agency, the Department of Criminal Justice Information Systems (DCJIS), told him the records are secret under the “criminal offender record information” (CORI) statute. Former attorney general Martha Coakley shared that view, Galvin said, and the new attorney general, Maura Healey, has tentatively agreed. But are they correct? Does the law allow the police officers to decide which arrest reports do and do not get released? The answer, thankfully, is no. The word “initiation” is important. As late as 2010, Galvin’s office held the commonsense view that a “criminal proceeding” is initiated with the filing of a criminal complaint. Arrest reports and mug shots are generated before criminal complaints are filed, so they’re presumptively public. 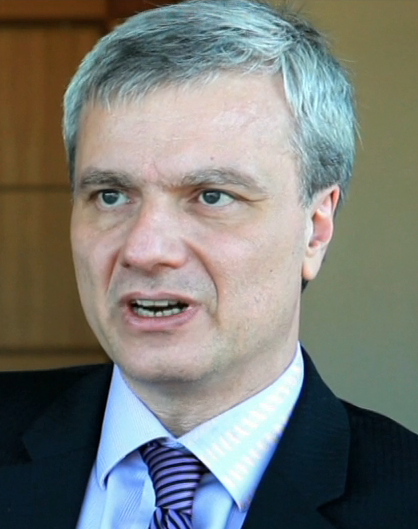 But in 2011, the DCJIS (which administers the state’s CORI database) told Galvin it believed “initiation of criminal proceedings” means “the point when a criminal investigation is sufficiently complete that the investigating officers take actions toward bringing a specific suspect to court.” That necessarily precedes arrest and booking, so all arrest reports and mug shots are covered by CORI. This “interpretation” is now contained in a DCJIS regulation. Another regulation says that police can release CORI information surrounding an investigation if they think it’s appropriate to do so. In the common parlance, however, “criminal proceedings” occur in court, and they begin with the filing of a criminal charge. We don’t typically think of an arrest without charges as involving a “proceeding.” Galvin seems to agree — his office’s rulings have said only that DCJIS believes “initiation” occurs earlier — but he has thrown up his hands and deferred to this odd “interpretation” of the CORI statute. The thing is, Galvin isn’t bound by what DCJIS says. The public records law says that the supervisor of records is entitled to determine “whether the record requested is public.” The DCJIS’s regulation adopting this view is irrelevant, too, because as noted above, the public records law only exempts documents “specifically or by necessary implication exempted from disclosure by statute.” The Supreme Judicial Court ruled in 1999 that the “statutory” exemption doesn’t extend to mere regulatory enactments “promulgated under statutory authority,” even “in close cooperation with the Legislature.” Despite this ruling, just Wednesday, Galvin’s office again refused to order state police officer mug shots to Wallack on the ground that “[b]y regulation,” — not statute — they are exempt CORI documents. Wallack’s reporting has led us to a momentous Sunshine Week in Massachusetts. We’ve seen unusual, coordinated editorials in major Massachusetts newspapers condemning the rulings, a letter published in the Globe, the Boston Herald and GateHouse Media newspapers (including The Patriot Ledger of Quincy and The Herald News of Fall River) signed by members of the Northeastern Journalism School faculty, and extensive coverage on the normally neglected subject of government transparency. To his credit, Galvin is calling for reforms to the public records law, and Attorney General Healey has vowed to work with his office to strengthen transparency. Reforms are sorely needed, especially to require shifting of attorneys’ fees if a requester successfully sues. But in the meantime, Galvin can and should reconsider his misguided rulings on arrest records. Jeffrey J. Pyle is a partner at the Boston law firm of Prince Lobel Tye and a trial lawyer specializing in First Amendment and media law. To my surprise, The Boston Globe didn’t endorse in the governor’s race today. Maybe tomorrow? Maybe next Sunday? Sadly, both candidates for governor, Martha Coakley and Charlie Baker, have left the door open to moving ahead with a casino in Springfield even if Question 3 passes. That’s a fight for another day. First casinos have to be defeated. Please vote “yes” on 3. The message last night was straightforward: The Boston Globe was launching a new weekly political section, Capital, in print and online. It was the messaging, though, that really mattered. About a hundred invited guests mingled in the lobby of the historic Paramount Theatre, elegantly restored by Emerson College, helping themselves to free food and an open bar. Owner/publisher John Henry joined the minglers, working the room like one of the politicians his reporters might write about. And if you didn’t quite get the messaging, chief executive officer Michael Sheehan and editor Brian McGrory were there helpfully to explain. If you’re a news junkie, a political junkie or both, enjoy it. 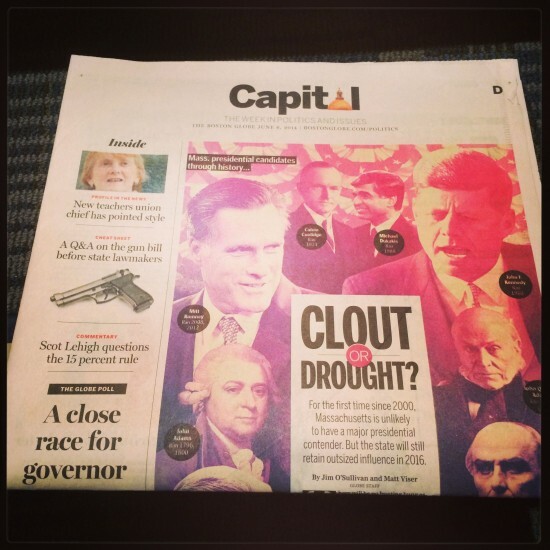 The newspaper implosion that has defined the past decade may have slowed, but it hasn’t stopped. Some 16,200 full-time newspaper jobs disappeared between 2003 and 2012, according to the American Society of News Editors. Just this week, about 20 employees — one-fourth of editorial staff members — were let go by the Telegram & Gazette of Worcester, recently sold by Henry to Halifax Media Group of Daytona Beach, Florida. Aaron Kushner, whose print-centric approach was hailed as the salvation of the newspaper business just a year ago, is now dismantling the Orange County Register and its affiliated Southern California properties as quickly as he built them up. So what is Capital? Simply put, it’s a Friday-only section comprising features, think pieces, polling, commentary and lots of graphics. The debut consists of 12 pages, including three full-page ads — two of them advocacy messages of the sort that might not have made their way into the paper otherwise — and a smaller bank ad on the front of the section. The lead story, by Jim O’Sullivan and Matt Viser, looks at the implications of a presidential race that is not likely to have a Massachusetts candidate for the first time since 2000. 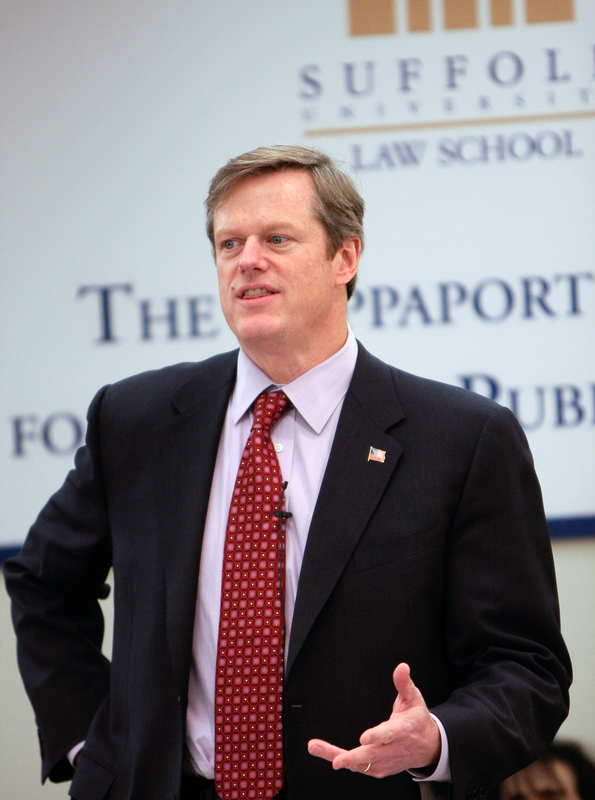 A poll (and Capital is slated to have lots of polls) suggests that Republican gubernatorial candidate Charlie Baker is making some headway, trailing Democratic contender Martha Coakley by a few points and leading Coakley’s rival Steve Grossman by a similar margin. Among the more intriguing pieces of content is a “social networks dashboard,” put together by SocialSphere of Cambridge, which tracks conversations and the “biggest influencers” on Twitter. The print version has the highlights; online, it goes into more depth. It could use some tweaking, though. For instance, it’s fine to know that Gov. Deval Patrick is +463, but I’d like to see an explanation of what that means. One challenge the Globe faces is to come up with compelling content that isn’t tied to the daily news cycle. Today, for instance, the paper’s two most important political stories appear not in Capital but, rather, on the front page: more questions about Scott Brown’s dubious dealings with a Florida firearms company and insider shenanigans involving Mayor Marty Walsh’s administration and the city’s largest construction company. Of necessity, Capital will have to focus on analysis and smart step-back pieces. During the panel discussion, political editor Cynthia Needham said that a frequent topic of conversation in the newsroom is whether the Globe’s political coverage should appeal to “insiders” or to readers “who dip in every once in a while.” For Capital to work week after week, the answer needs to be both — and then some. 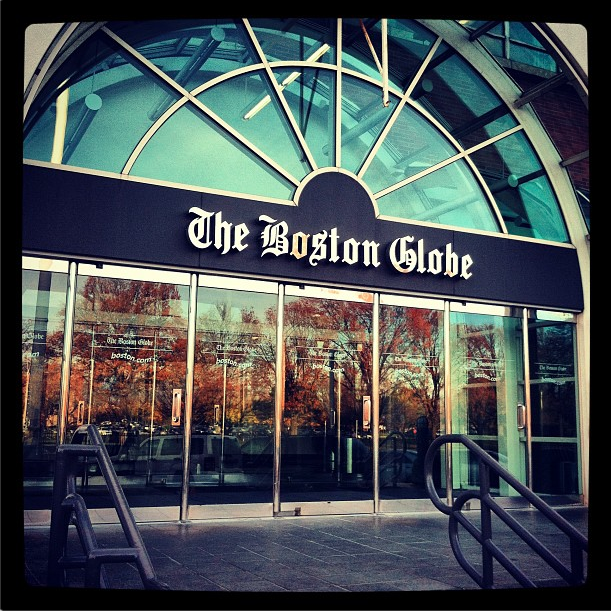 But seriously — how refreshing is it to be able to write about the Globe’s latest expansion instead of the cuts and layoffs that pervade the rest of the newspaper business? We’ll remember these times. Let’s hope they last. 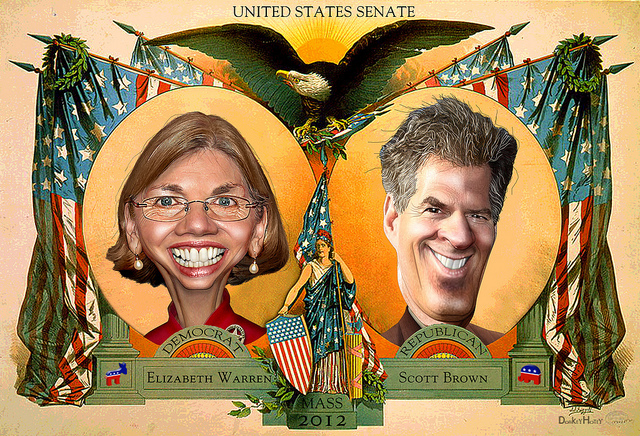 With today’s Boston Globe poll reporting that Democratic challenger Elizabeth Warren leads Sen. Scott Brown by five points, get ready for Brown’s defenders to dredge up an infamous Globe poll from two years ago — the one that showed Attorney General Martha Coakley leading Brown, a Republican, by 15 points. Globe-bashers like Howie Carr love to point to that earlier poll as a sign of the paper’s liberal bias — and I’ll predict right now that that will be the subject of Carr’s next column in the Boston Herald. 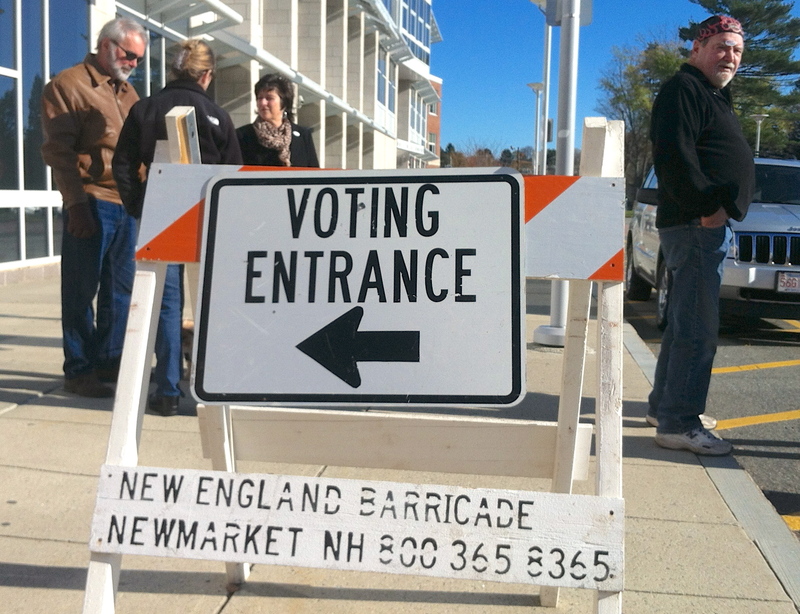 In fact, Globe polls are not Globe polls — they are conducted by the University of New Hampshire Survey Center, a respected, independent polling operation. So what went wrong in 2010? My theory: Nothing. The story about that earlier poll is protected behind a paywall (I’m a subscriber, so I’ve reread the whole thing). But as you can see from this excerpt, the poll was conducted between Jan. 2 and 6, and the election to fill the U.S. Senate vacancy created by Ted Kennedy’s death was held on Jan. 19. Thus it’s likely that the poll was accurate when it was conducted. People were just getting back to their normal routines coming out of the holidays. The race broke very late for Brown. By the time the story was published, on Jan. 10, the race was already trending away from Coakley, and within days, other polls were reflecting that. What does that mean for Brown now? First, the margin of error in the new poll, which shows Warren with a 43 percent to 38 percent lead, is 4.4 percent. In other words, if the election were held tomorrow, Brown could beat Warren by several points without calling the validity of the poll into question. The race is still essentially tied. Second, this is not a low-turnout special election, and as the Globe story notes, Brown faces some harsh realities. By wide margins, people like Brown and like the job he’s doing — but they are increasingly leaning toward Warren because of the enormous enthusiasm among Massachusetts voters for President Obama. I suspect you would not be able to get Brown to utter the words “Mitt Romney” these days even if he were being waterboarded. Third and most important: It’s still early. No, it’s not as early as it was during the pre-Labor Day period, when you could argue that most people weren’t paying attention. But it’s early enough for things to change dramatically if Warren stumbles badly. That’s why I think Brown is making a mistake by putting a torch to his nice-guy image with his continued attacks on Warren’s claim that she’s part-Native American. David Bernstein of The Phoenix offers some further analysis of the Globe poll. And Nate “The Great” Silver of the New York Times takes a deep look at conservative claims of liberal bias in polling — and buries the assertion in an avalanche of well-marshaled data. Illustration (cc) by DonkeyHotey and republished under a Creative Commons license. Some rights reserved.